Dr Jim Leary, Director of the Archaeology Field School, said: “Opportunities to fully investigate long barrows are virtually unknown in recent times, and this represents a fantastic chance to carefully excavate one using the very latest techniques and technology. The Cat’s Brain long barrow, found in the middle of a farmer’s field halfway between the iconic prehistoric monuments of Avebury and Stonehenge, consists of two ditches flanking what appears to be a central building. This may have been covered with a mound made of the earth dug from the ditches, but has been ploughed flat over many centuries. Having cleared the top soil, the clear outline of the long barrow ditches is visible, as well as the footprint of the building. The team will now conclude the three-year Archaeology Field School project by excavating the archaeological remains and recover artefacts, bones, and other environmental evidence, which will be analysed. This analysis will provide crucial evidence for the people and society in Britain during this remote period. 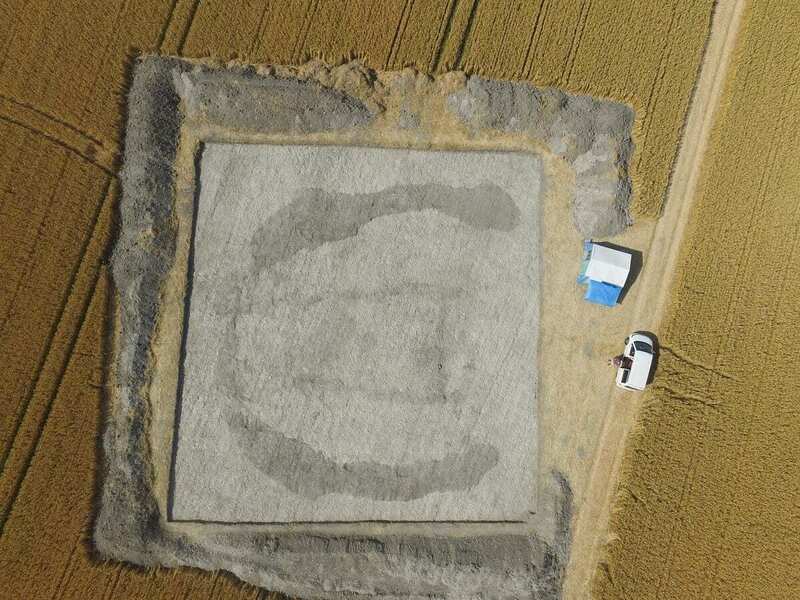 In addition to the Cat’s Brain long barrow site, the University of Reading’s Archaeology Field School is working at Marden henge, the largest henge in the country, built around 2,400 BC, also within the Vale of Pewsey. Little archaeological work has been carried out in the Vale, especially compared with the well-known nearby sites of Avebury and Stonehenge. The project aims to fill this gap in our knowledge and highlight the importance of the area in the Neolithic period. An Open Day will be held at Marden henge on Saturday 15 July to allow members of the public to see the excavation happening live, as the team searches for human remains and other artefacts.